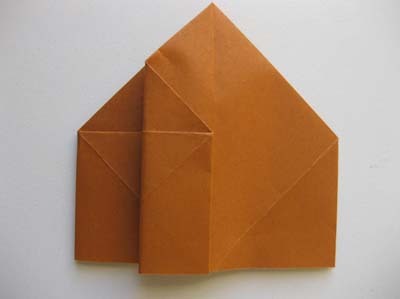 Here's an easy origami church to add to your holiday origami collection! 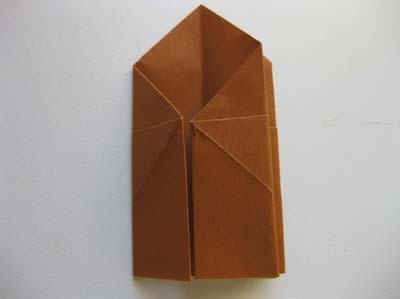 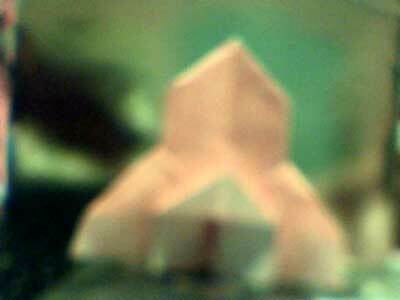 Origami Church Step 1: Fold a waterbomb base. 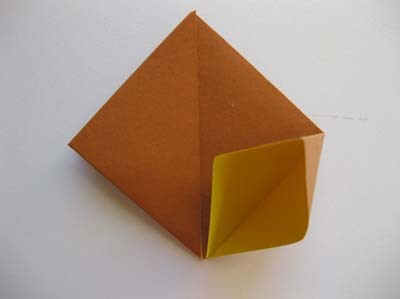 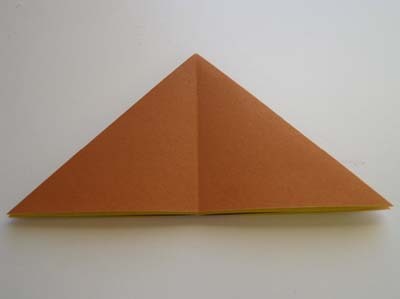 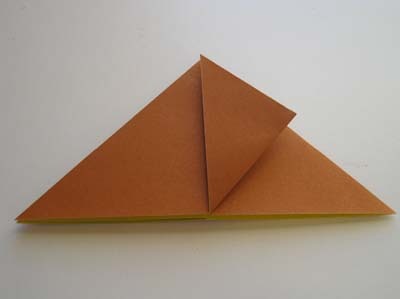 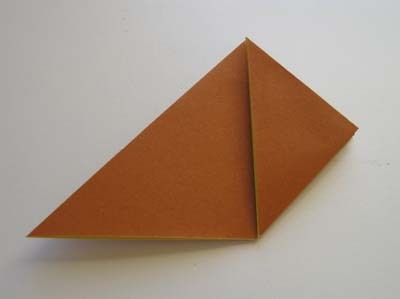 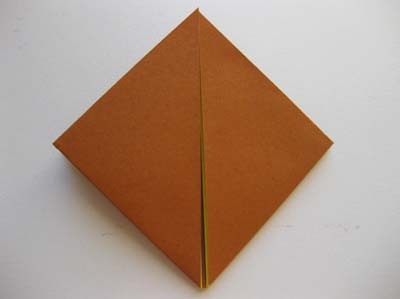 This is a common base used in origami and we've made detailed folding instructions on a separate page. 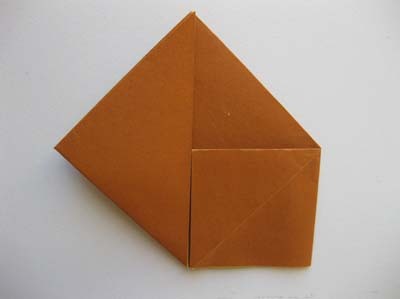 Follow those instructions and you should have the below to start with. 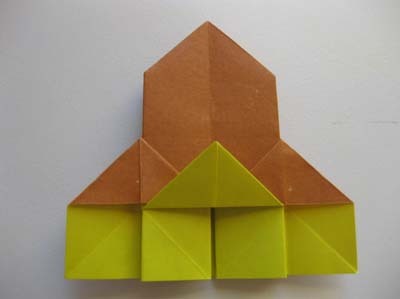 Origami Church Step 2: Fold both tips to the top. 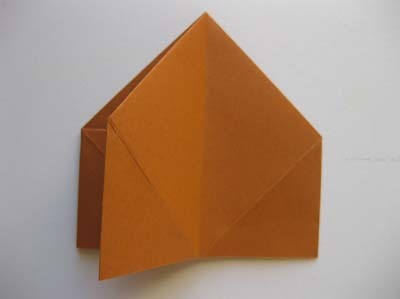 Origami Church Step 3: Flip paper over. 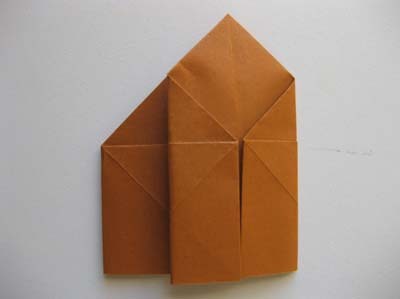 Origami Church Step 4: Repeat Step 2 and fold both tips to the top. 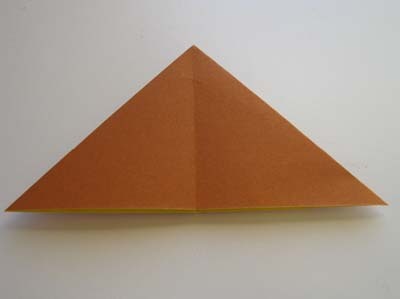 Origami Church Step 5: Now we're going to make a squash fold. 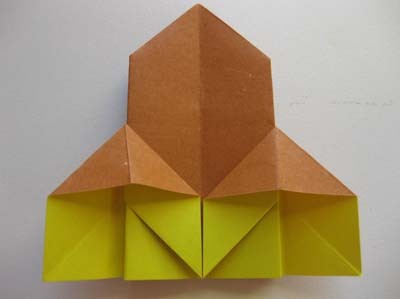 Bring the tip down towards you, open the paper slightly and squash it down. 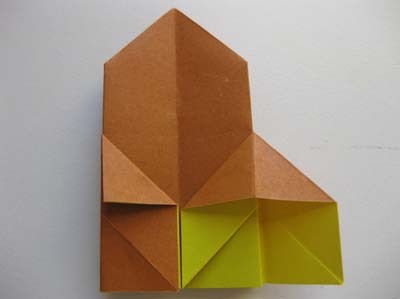 Origami Church Step 6: Repeat Step 5 for the left side. Origami Church Step 7: Flip paper over. 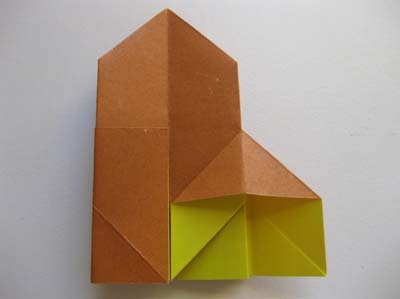 Origami Church Step 8: Repeat Steps 5 and 6 for this side. 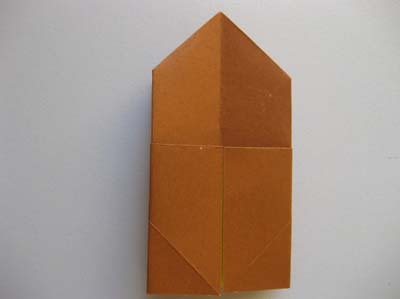 Origami Church Step 9: Focusing on the right side first, move the top flap from the right to the left. 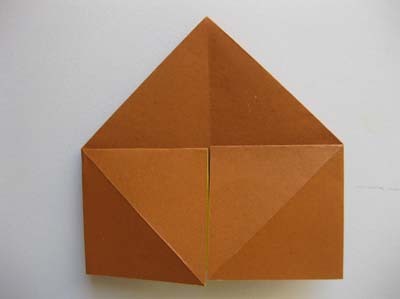 Origami Church Step 10: Fold both sides to meet the center crease. 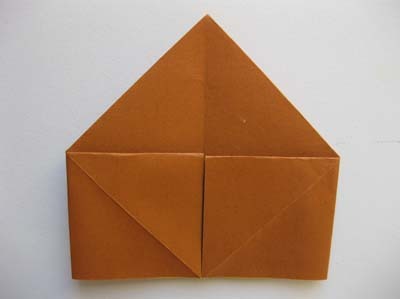 Origami Church Step 11: Bring the top flap back from the left to the right. 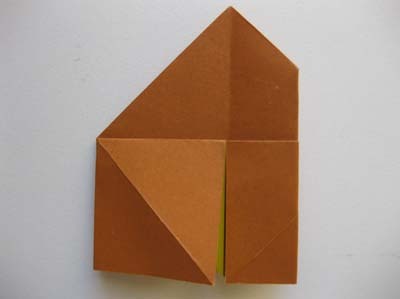 Origami Church Step 12: Repeat Steps 9 to 11 for the left side. 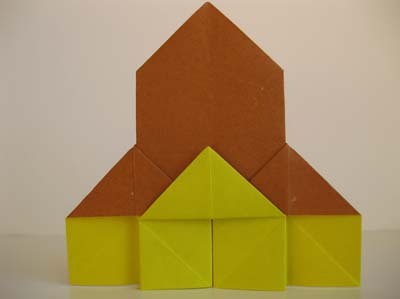 Origami Church Step 13: Our origami church is still under construction but it is almost complete! 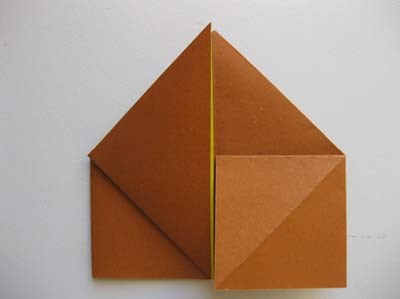 Fold the right side tip to meet the right edge as shown in the photo below. Crease well and unfold. 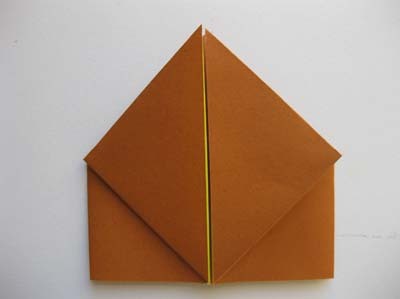 Origami Church Step 14: Open the right side slightly and make a squash fold. 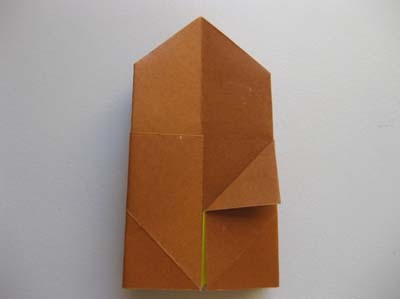 Origami Church Step 15: Repeat Step 14 for the left side. 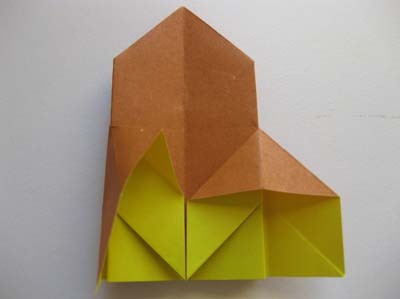 Origami Church Step 16: Fold up the center tip. 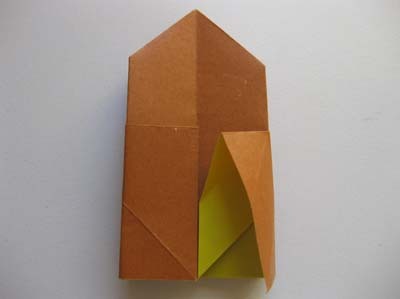 and here's your origami church! 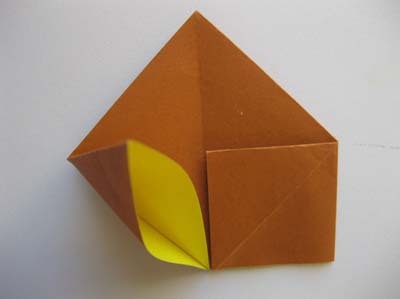 From RUby in Brevard " This is a origami church and took me some time to make but now that I see it it's not complicated to do anymore." 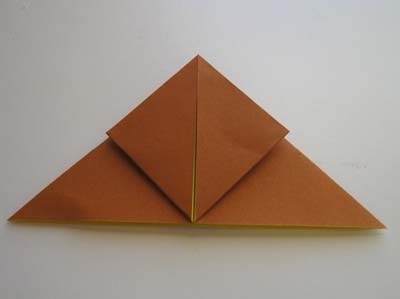 From reader in Stuttgart " I thought this was so easy to make! 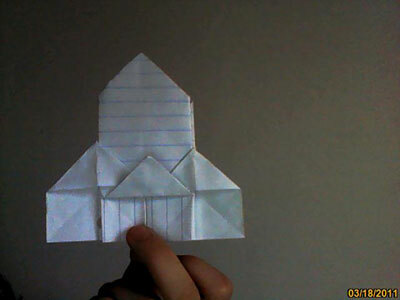 I am thinking of making a whole collage of them on my window! " 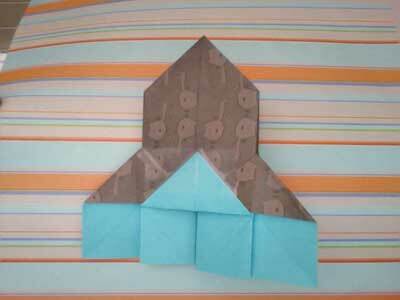 From Melisenda in June Lake " I made this with a stickey note!!! " 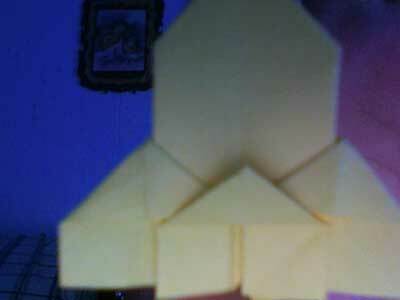 From Tudorica in Navodari "My first origami church...not bad,huh?? "